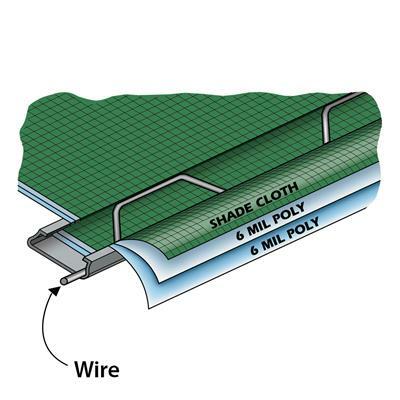 Wiggle Wire is capable of holding two layers of polyethylene, plus a piece of shade cloth. You simply lock the polyethylene with one wire, then go back and install a second wire to hold the shade cloth in place. 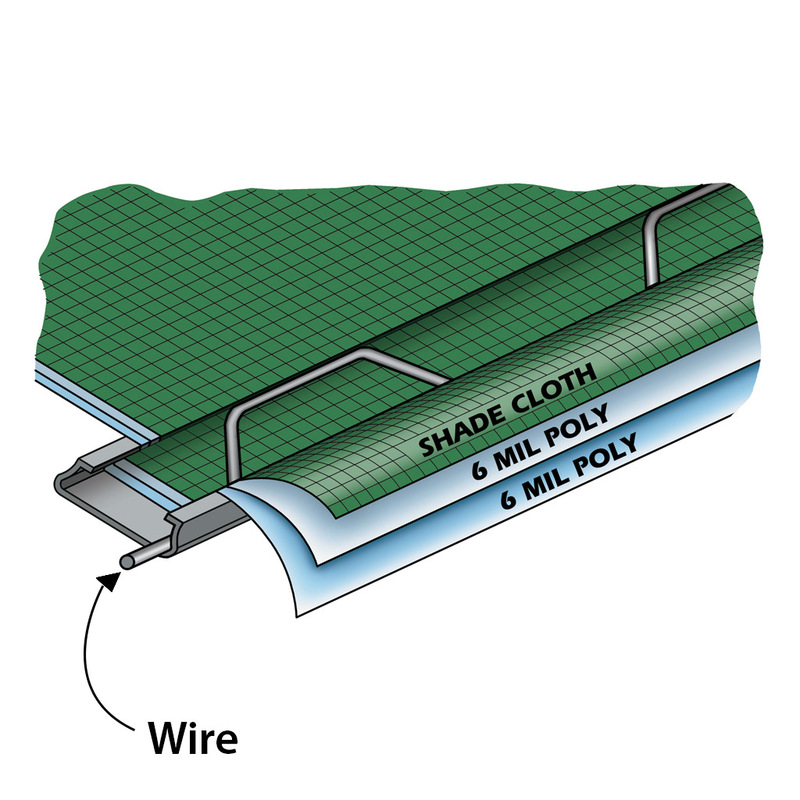 Wiggle Wire is capable of securing greenhouse poly, shade cloth, screening, and a multitude of other flexible materials.